Romain Grosjean was asked prior to the Azerbaijan Grand Prix if points were possible in this race. "Better be!" the Haas driver replied. "After three races, it'd better be time." Points were indeed looking possible when he carved his way from last to sixth in the race. Then came the safety car for the Red Bull drivers colliding, followed by an extended safety car period when Grosjean collected a wall. "This hurts a lot and I want to apologize to the team," he said. "We were in the middle of an amazing race, starting last and running P6. Seeing (Sergio) Perez on the podium, knowing I was fighting with him, is very painful for all of us. It was going very well." "The conditions were tricky, there was a lot of wind, the car was going left and right, pushing then not pushing. I was warming up my tires and bumped into a switch that I'd moved by two positions. When I touched the brakes, the brake balance was locked rearward – it just locked the rear wheels and I spun." It was the fourth consecutive pointless race for Grosjean. Even when things go right this season they end of up going wrong. Both he and Haas teammate Kevin Magnussen were lined up to score points in the season opener in Australia. But both left the pits with loose wheels after botched pitstops and had to stop on track. A double DNF for Haas instead of double points. Magnussen finished fifth in the next round in Bahrain; Grosjean 15th after they had some close calls dicing on track. "It was always going to be difficult starting from the back of the grid," Grosjean said. "I didn't really have a good first lap, but after that I came back through the field quite nicely. If I hadn't lost my bargeboard I'd have finished potentially seventh or eighth. That was a problem – losing parts as we're just running on track. On those two laps, the car was absolutely undriveable. We had to pit to remove the part, so that was the end of the story." Things didn't go any better in China. "We made a ballsy strategy going on the ultra softs to mediums," he said. "Unfortunately, the misfortune kept going with me because I knew from the safety car in the middle of the race - when I was on the very long stint on the medium - we were not going to pit. I knew it would be very difficult at the restart." He fell back from 11th to 17th. Then came the meeting of the walls in Baku. Haas team principal Guenther Steiner is positive that Grosjean will bounce back from this streak of misfortune of two DNFs, a 13th and a 17th. "I'm not too worried," Steiner said in Baku. "I wouldn't say he has been underperforming. I think there have been circumstances like in Australia where he performed well, there was no problem. I never jump to conclusions after one or two races. It's a long year and he will come back." 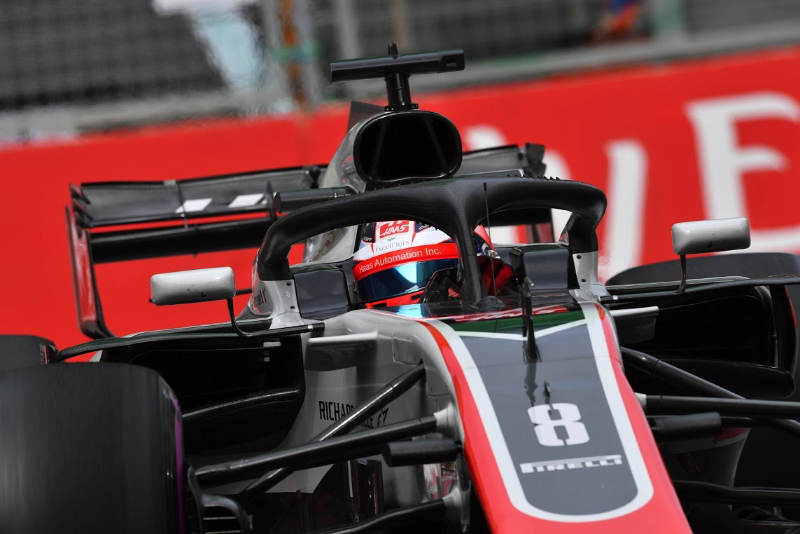 Grosjean performs at his best when the car is set up and working perfectly to his preferences, whereas Magnussen is better at driving around problems in the car. "We need to tweak the car a little bit for Romain to make it more comfortable performance-wise for him to drive," Steiner said. "We need to get it a little bit more to his liking and then we'll have him back to where we want him." After four pointless bad-luck races it's time for Grosjean to finish in the top 10. He agrees. "The season is not over," he said, "and I've got good hope that we can keep up and make up some good points."